Building and running a successful 401k advising practice is not an easy profession. In fact, it takes a large amount of time, effort, talent, and resources. While starting a 401k practice is difficult, growing it can be even more of a challenge. And in this industry, growing your business should be one of your main goals. Even if an advisor has existing clients, committing all of their time and energy on outstanding client service may get them an impressive client retention rate, however, it will not be much help in bringing in new clients and growing your practice. Growing a 401k advising practice is not an easy goal to achieve. That is why we are going to share some beneficial steps to take that can help develop and expand your practice and bring in more clients. Although defining a target market is usually one of the first things advisors decide on, without it growing a 401k advising business is unlikely. An advisor’s target market is their competitive advantage — something that puts them in a favorable business position. Once you define your targeted group, it is essential to ensure that all marketing material is consistent in reflecting your value proposition, which can take careful and purposeful planning. Identifying your target market first begins with defining who exactly you are going to serve. Representing a feasible solution for a certain problem or type of client will make it easier for people to see you as the best choice for their needs. It is important to be as specific as possible when defining your market. For example, instead of defining your market as workplaces that offer 401k plans, choose something more specific, like young individuals and couples. Believe it or not, specializing in working with a specific market or group of people will likely create more referrals. Having a generalized target market will not necessarily bring in more client because with a general target you are facing more competition, making it more difficult to be noticed and expand your practice. If you are having trouble deciding on a specific market, consider addressing some minor issues or challenges that a small portion of the area’s population can relate to. Clearly describe your services in a compelling way that will influence potential clients to use your services instead of competitors. In addition to a defined target market, an advisor’s competitive advantage should be clearly articulated and repetitively used throughout marketing materials, like with social media, emails, and websites. In addition, ensure that both your target market and competitive advantage is reflected in public conversations and meetings. One of the biggest challenges in growing a 401k business is creating and implementing an effective marketing strategy. In order to create and apply a strategy that results in growth, it is important to be selective in the marketing strategies chosen. Many advisors waste valuable time testing out different strategies that won’t get them the results they desire. To avoid wasting time, advisors should start their marketing campaign by choosing a strategy that they find enjoyable, simple — and most importantly — effective. If you find a strategy that works and gets you results, be sure to continue carrying out that specific strategy. Many 401k advisors make the mistake of discontinuing an effective strategy in hopes or belief that a better strategy will be more successful. If you are an advisor who is having difficulting deciding on a strategy, you can try one of the following strategies that have been utilized by many advisors throughout the nation. Whatever marketing strategy that 401k advisors choose, perhaps the most important aspect is being focused and committed with to they implement and schedule their time and activities. When a 401k advisor’s first lead is placed in front of them, an easy and quick way to lose the prospect is not having an effective management process. A consistent and effective process should include how advisors interact with prospects, as well as what material and information is delivered before, during, and after a meeting. Since, a large percentage of prospects will not make an immediate decision, whether they are not in need of the services at the moment or just need time to think it over, it is essential to have a continuous communication plan that engages with prospects and provides them with information and expertise in order to keep them as a top prospect instead of cold, dead lead. Once advisors have a good amount of clients, it is important to provide exceptional service. Client service is generally a backbone of a growing 401k practice. One of the easiest ways advisors can increase their chances of adding more clients to their books is to make client service a top priority. Check out some helpful service qualities that can help advisors get an advantage over their competitors. Being prepared. 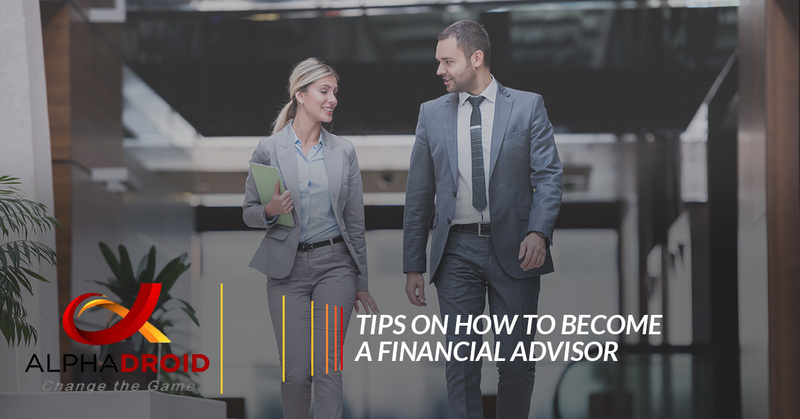 A prepared advisor will research and collect information on a prospect before meeting with them, have a controlled client process, and always use their schedules. Being relevant. A successful advisor will identify what is most relevant to their clients, measure and track the relevancy of their 401k services that are offered, and will not be afraid to change their service model when necessary. Being persistent. Many successful advisors are the ones who are consistently efficient, responsive, kind. Being diverse. Great advisors will not only pitch themselves in a unique way to prospects, they will also work to understand what issues prospects have that need to be solved, something competitors are unlikely to do. Being committed. Engaging with, and educating prospects and clients, and sending out annual reports regarding services, activity on plans, and results are all traits of a great 401k advisor. One challenge of developing and running a 401k advising business is portfolio management. In fact, advisors who try developing their practice while managing their portfolio may not be as successful as advisors who delegate the task of portfolio management. Advisors can utilize asset allocation software to handle the management of portfolios so that they can dedicate their time and focus on clients and growing their business. Not spending time managing a portfolio will give 401k advisors more time to implement marketing strategies, network, and meet with prospects more often. 401k advisors who follow the steps above will be in a much better position to bring in, educate, and convert prospects into clients. While all of these strategies are beneficial to developing an advising business, utilizing asset allocation software can be a huge help to advisors and planners. As mentioned, this software handles a significant portion of portfolio management, allowing advisors to focus their time on expanding their practice. And when it comes to the best portfolio management software for 401k advisors, AlphaDroid is a great choice. AlphaDroid is a practical asset allocation software that helps investment advisors with analyzing, constructing, and comparing investment portfolios using Modern Portfolio Theory. To learn more about how AlphaDroid’s technology can help 401k advisors, contact AlphaDroid!